You will find below the horoscope of Jamie Lynn Spears with her interactive chart, an excerpt of her astrological portrait and her planetary dominants. Horoscopes having the same aspect Venus opposite Pluto (orb 0°13'): Mahatma Gandhi, Novak Djokovic, Sarah Michelle Gellar, Al Capone, Aamir Khan, Jhene (pop singer), Ivana Trump, Thomas Jefferson, Gerard Way, René Magritte, Chelsea Clinton, Steve Irwin... Find all the celebrities having this aspect. Celebrities born the same day: Heath Ledger, Robert Downey Jr., Maya Angelou, Daniel Cohn-Bendit, Austin Mahone, Frédéric López, David Blaine, Marguerite Duras, Alessandro Rambaldi, Anthony Perkins, Michel Fourniret, Bernard Campan... List of all the celebrities born on April 4. Celebrities clicked on in real-time: 577,165,787 times. Jamie Lynn Marie Spears (born April 4, 1991 (birth time source: Seventeen Magazine 2005)) is an American Actor, and the younger sister of pop star Britney Spears. She is best known for starring in the Nickelodeon television series Zoey 101, as Zoey Brooks, the main character of the show. She is currently in a relationship with Casey Aldridge, the father of her child and the man to whom she is engaged. Jamie Lynn Spears appeared in 2001's Total Britney Live and in a Clorox and Pepsi commercial in 2002. In the same year, she appeared briefly in the movie Crossroads, as the younger version of the main character, Lucy, who was played by her older sister. Here are some character traits from Jamie Lynn Spears's birth chart. This description is far from being comprehensive but it can shed light on his/her personality, which is still interesting for professional astrologers or astrology lovers. 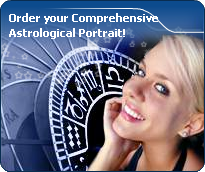 In a matter of minutes, you can get at your email address your astrological portrait (approximately 32 pages), a much more comprehensive report than this portrait of Jamie Lynn Spears. Jamie Lynn Spears, the diurnal South-eastern quadrant, consisting of the 10th, 11th and 12th houses, prevails in your chart: assertion and goals achievement are at the centre of your concerns. You are very keen to implement your dreams and your plans. You achieve your ambitions as soon as possible, whether through an active social life, highly charged friendly relations, or an urge to take actions in order to reap - in the eyes of the world, of course - the rewards of your dynamism. It is likely that spirituality or humanitarian actions are part of your motivations, sometimes at the price of some degree of isolation. Jamie Lynn Spears, Fire is dominant in your natal chart and endows you with intuition, energy, courage, self-confidence, and enthusiasm! You are inclined to be passionate, you assert your willpower, you move forward, and come hell or high water, you achieve your dreams and your goals. The relative weakness of this element is the difficulty to step back or a kind of boldness that may prompt you to do foolish things. The predominance of Water signs indicates high sensitivity and elevation through feelings, Jamie Lynn Spears. Your heart and your emotions are your driving forces, and you can't do anything on Earth if you don't feel a strong affective charge (as a matter of fact, the word "feeling" is essential in your psychology). You need to love in order to understand, and to feel in order to take action, to the detriment of a certain vulnerability against which you should learn to fight. Jamie Lynn Spears, the Cardinal mode is dominant here and indicates a predisposition to action, and more exactly, to impulsion and to undertake: you are very keen to implement the plans you have in mind, to get things going and to create them. This is the most important aspect that inspires enthusiasm and adrenalin in you, without which you can grow weary rapidly. You are individualistic (maybe too much?) and assertive. You let others strengthen and improve the constructions which you built with fervour. Your angular houses, namely, the 1st, 4th, 7th and 10th houses, are very emphasized in your chart, Jamie Lynn Spears: according to the Tradition, they are the strongest and most dynamic houses. Should the rest of your chart concur, angular houses suggest that you are an enterprising, energetic and assertive woman. Indeed, angular houses are said to generate impulsions and to give a powerful and domineering personality. The 11th, 1st and 7th houses are the most prominent ones in your birth chart. From the analysis of the most tenanted houses, the astrologer identifies your most significant fields or spheres of activity. They deal with what you are experiencing - or what you will be brought to experience one day - or they deal with your inner motivations. After this paragraph about dominant planets, of Jamie Lynn Spears, here are the character traits that you must read more carefully than the previous texts since they are very specific: the texts about dominant planets only give background information about the personality and remain quite general: they emphasize or, on the contrary, mitigate different particularities or facets of a personality. A human being is a complex whole and only bodies of texts can attempt to successfully figure out all the finer points. Your nature is optimistic and emotional, Jamie Lynn Spears, and you are caught up in two incompatible longings: you are fond of exoticism and independence of movement, but at the same time, you feel comfortable in a form of middle-class attitude and conformism; in general, it translates into a succession of moods, now quiet and well adapted to the situations you experience, now marked by an irresistible desire for change and revival. You have a good and naïve nature, with a lot of self-confidence. Your emotionalism prompts you to live intensely a variety of numerous emotional experiences, a bit scattered, but with all the stimulations you need to be a balanced person. Your pleasant and welcoming attitude wins you some degree of popularity, all the more so because, despite your thirst for adventures that may scare away some people, you adjust to your environment's customs so easily. There is so much voluptuousness and so much charm in your personality, Jamie Lynn Spears! You are what is called a “nature” and when confidence is established, slowly but steadily, you become deeply attached to your partner and you can be filled with passion. It may take months, even years, but you are so generous and affectionate that, in most cases, your relationship has many chances to blossom, with time. You are very physical and sensual and you are very keen to delight in your intimate moments. This aspect of your amorous relationship usually contributes to its sustainability. Everything seems idyllic, Jamie Lynn Spears. It would be so if your jealousy and your possessiveness did not get started simultaneously with your powerful feelings. But you have so many assets, so be content! It is difficult to find a more sensitive person than you, Jamie Lynn Spears. You are able to contain your aggressiveness and it may be hard for you to exteriorize your feelings. You are usually passive and you draw your strength from inertia and resistance more than from the will to take action. Your mood is changing, you show little of yourself and you may surprise with your inopportune reactions that come late, when people have forgotten what it was all about. The only area where you express yourself with zeal and where your actions are successful is the area of home or, more symbolically, in the fields where you can achieve security. In other words, you need to feel comfortable before you can move, in concrete matters as well as in sexuality. This text is only an excerpt from of Jamie Lynn Spears's portrait. We hope that it will arouse your curiosity, and that it will prompt you to deepen your knowledge of astrology, as well as to visit and use the wide range of free applications at www.astrotheme.com. Your Life Path is influenced by the number 1, Jamie Lynn, which often prompts you to have an active and sometimes original life. 1 is the number of creativity and indicates individual destinies which are achieved at the cost of personal efforts because, although the path may lead very far, it climbs steeply upwards. You need to learn to manage your life with a strong willpower while using your own resources. It is most likely that you reach the best of your possibilities if you choose a free-lance occupation, or anything which allows a lot of personal initiatives. You really need freedom of action. You prefer to innovate rather than to follow the trend, and to create rather than limiting your activities to repetitive tasks. Thus, your life may be theatre of spectacular twists and turns, all the more so because the more you progress, the more your indecisiveness fades away. In such conditions, it is necessary that you strive to maintain a minimal degree of stability in the course of your life.